Lately we’ve been receiving a lot of calls from the neighbor, sister, brother, aunt, teacher or friend of previous customers. We love that. A customer referral is the best compliment we can get and Thank You! 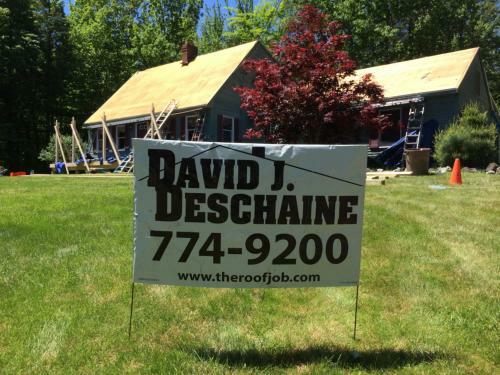 I’m sure you’ve heard or seen our ads “Keep out the rain, call Dave Deschaine.” And those are great. But at the end of the day, what we really want to hear is how we helped make your home improvement project go as smoothly as possible. And we want you to tell your friends. Reputation is important. And we’ve worked hard to build ours. Here at David J. Deschaine, Inc exceeding our customer’s expectations is our #1 goal. When you call our company, you will be greeted cheerfully by Kathryn, our office manager. She loves talking to people! She will be thorough in listening and learning about your needs and will do everything in her power to be sure that in the first meeting, our estimator David Deschaine has all the information he needs to give you an informed estimate. 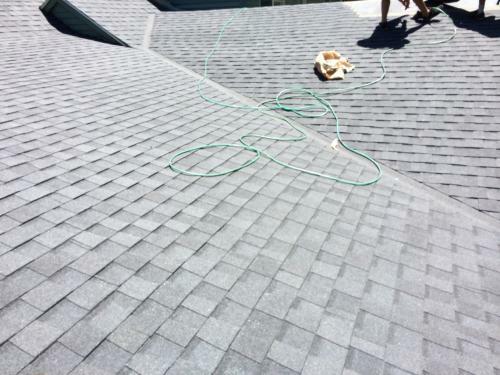 If we’ve made your home improvement project hassle free, if we’ve helped you make the best, most informed decision, if we made you feel attended to and comfortable, and if we’ve given you a fantastic new roof, then we’ve done our job. We want to know we’ve giving you a great experience from the very first time you contact us.